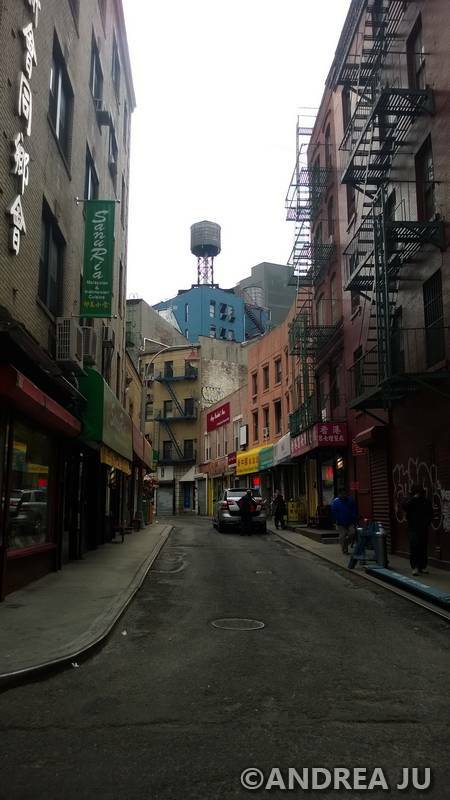 Doyers Street is an angled, narrow street that runs 1 block at a sharp angle from Pell Street into the intersection of Bowery and Chatham Square. In 1791, Dutch immigrant Hendrik Doyer bought the property and ran a distillery at 6 Doyers, the spot where the post office stands today. It was once known as the Bloody Angle for the many battles of the Tong gangs (On Leong Tong and Hip Sing Tongs) of Chinatown in the late 1800s and lasting into the 1930s. The term ‘hatchet man’ was used in the late 19th century to describe a Chinese assassin who carried a handleless hatchet. A look down Doyers Street from Pell. There are two long standing businesses remaining on this street. 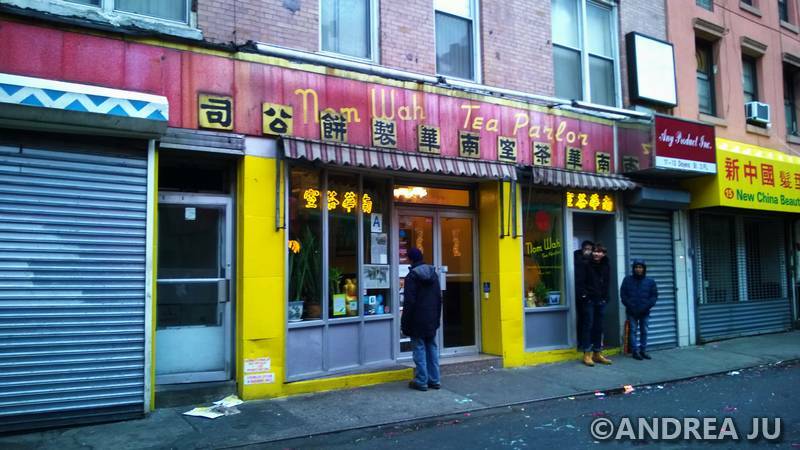 At 13 Doyers is Nam Wah Tea Parlor, they have been around since 1920. My Grandma met my Grandfather here. My Dad’s mom up and left Chicago when her husband (dad’s biological father) passed away around 1940. She was working as a waitress and he was a customer at the counter. She use to tell me that she always liked the way he dressed. Funny thing is that the first time I ever stepped foot in the place was a few years ago. My mom took me to try the dim sum. They make the sticky rice (naw mai fan) the way I remember it as a kid with Chinese sausage (said in Cantonese as lap cheong). 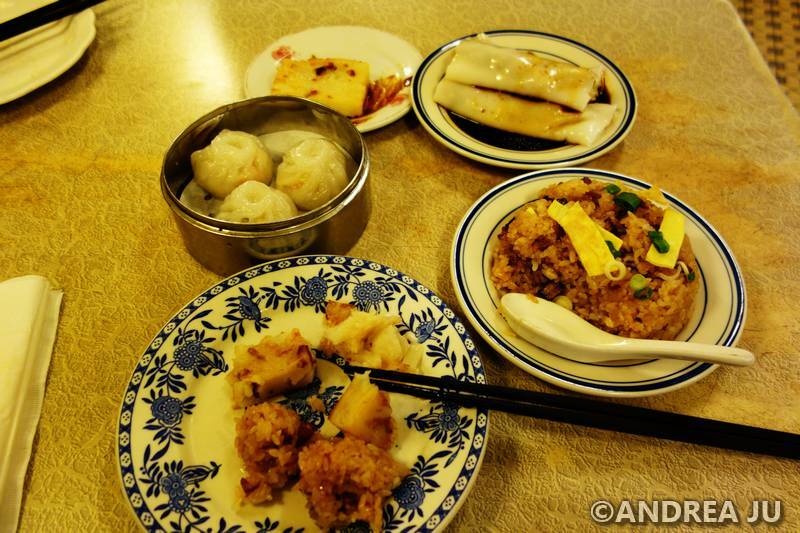 Chinatown’s first dim sum parlor and where my grandma met my grandpa. Some kind of veggie dumplings and rice flour rolls (forgot what I ordered), fried turnip cakes, and sticky rice (naw mai fan). 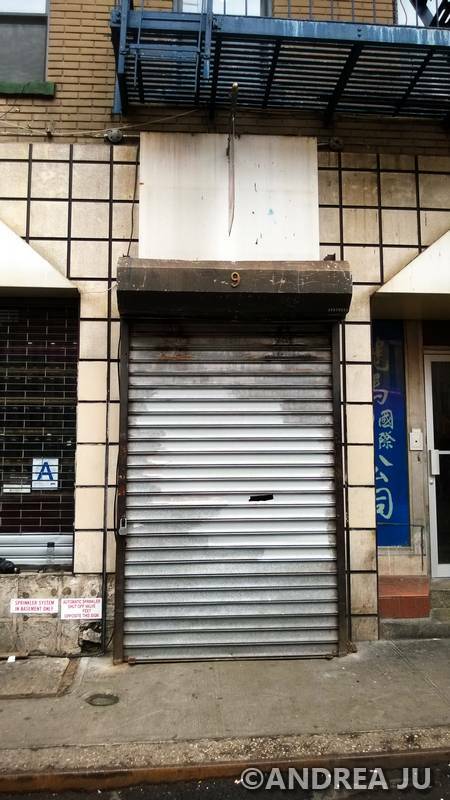 At 18 Doyers is Ting’s Gift Shop which opened in 1957 the same year the last opium den in NYC closed. 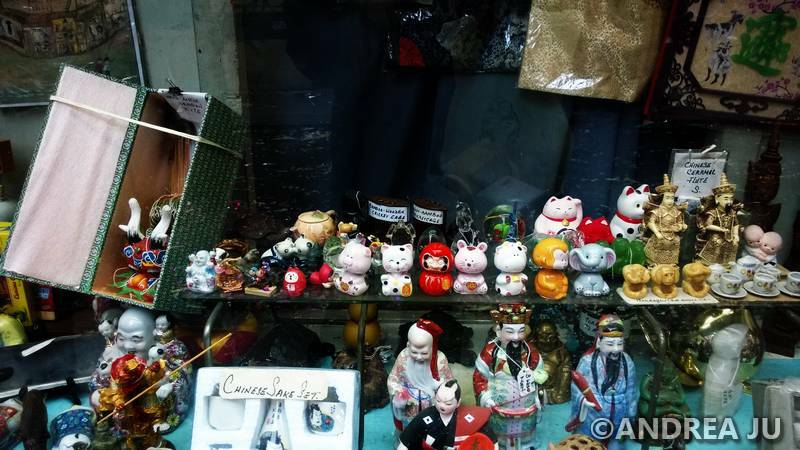 They sell touristy stuff and trinkets but you will often hear me referring to them as tchotchkes (Yiddish, most NYers especially Lower East Siders know a little sprinkling of Yiddish words no matter what race.). In 1958 they were raided and 10 pounds of heroin were found. They no longer sell illicit items but it does add a good story to its colorful past. 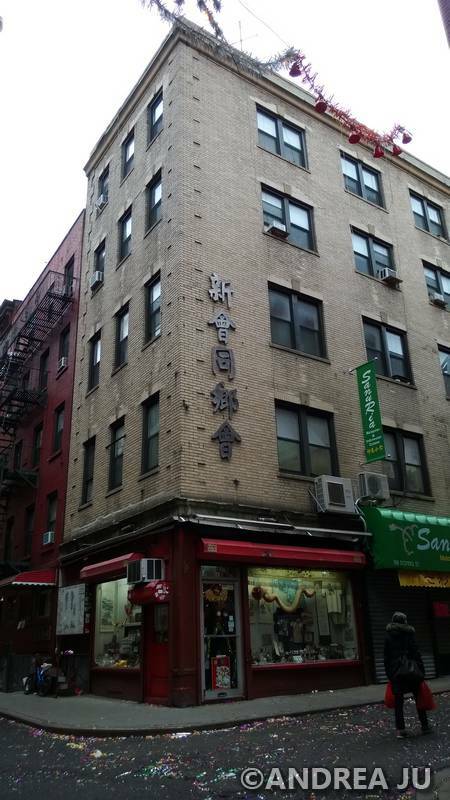 At 5-7 Doyers Street was the site of the first Chinese language theater from 1893-1911. 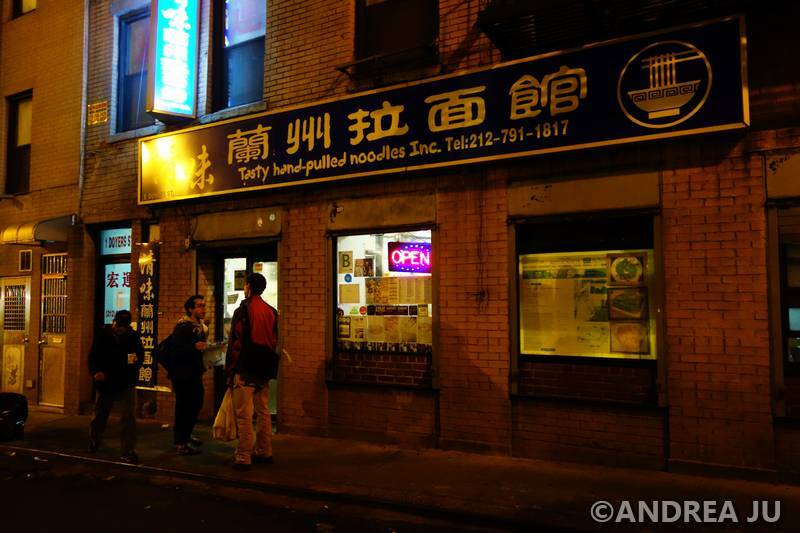 My mom likes this hand pulled noodle place. It’s on my to do list. 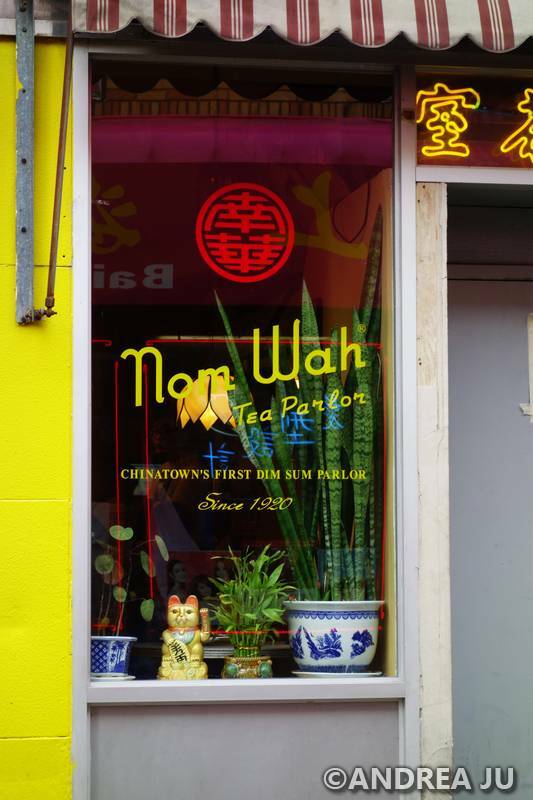 There are secret tunnels all over Chinatown. 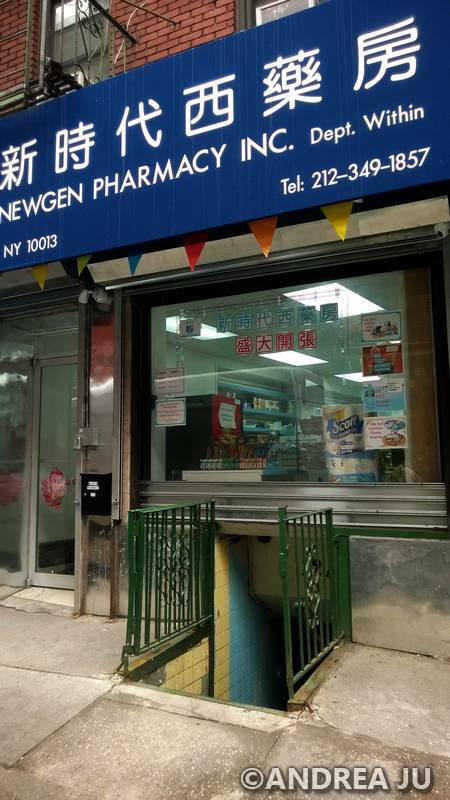 Since Doyers and Pell was known as a place of vice, gambling parlors and opium dens – some buildings had secret tunnels leading to Bowery, Mott and Chatham Square. The prefect getaway tunnels. They were originally used by Doyer for drink and food storage before the days of refrigeration. What’s left is a remnant of the tunnels that existed. It’s now the trendy bar Apotheke, before that it was the Golden Flower restaurant. It’s kind of fitting that a bar resides in a former opium den back in the days of wild Doyers Street. The post office was the site of Hendrik Doyer’s distillery. In the 1940s, the Five Points Mission was across the street from the post office. While reading up on the history of the area, I came across www.infamousnewyork.com, it’s about the underworld of the city. I haven’t completely fact checked what I just read. This site said that Irving Berlin got his start at a saloon on Pell Street (the street Doyers branches off from). Another site said that was just a rumor. Mike Salter (1868-1922) was of Russian Jewish descent, a ward heeler (urban political operative), American saloon keeper, and a part of Chinatown’s underworld. He was an important figure. The Pelham Cafe was located at 12 Pell Street where Irving Berlin worked as a singing waiter and was known as Izzy Baline. Back in the day, this area was a place where people would go to slum it and experience the other side of life. People like John Jacob Aster and Prince Louis of Battenberg (a Rear Admiral in the British Navy) came to see Izzy as word spread of his talent. 12A Pell Street. There was a long row of vans and small trucks so I couldn’t get a picture from across the street or of 12 Pell which is to the left of this place. 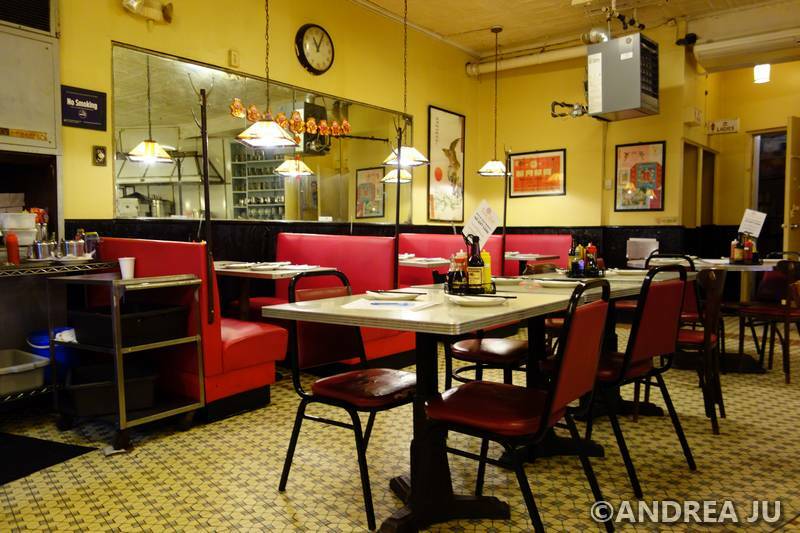 12 Pell was Mike Salter’s The Pelham Cafe. It amazed me as I read the tales and history of Chinatown. Some of the old buildings remain standing to this day with altered facades but if you dig, you can find the stories and pictures of the past. Mike Salter’s saloon is now a beauty salon. I never realized opium dens were around when my family walked these same streets. Ever since my grandma pointed out that some buildings have dates at the top, I wanted to learn their stories. My fear is that as neighborhoods becomes trendy again, they become endangered to development and will soon disappear into modern glass towers that are plaguing this city. 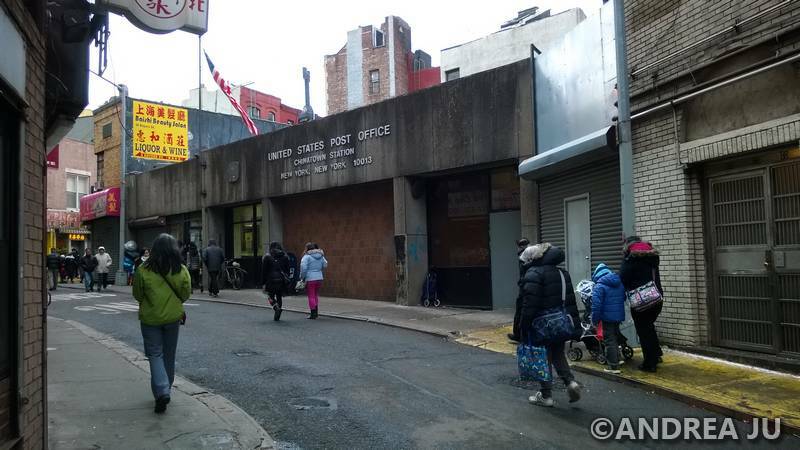 Posted on February 23, 2016 February 24, 2016 by jebusandandrea	This entry was posted in History, Lower East Side, New York, North America, NYC, USA and tagged Chinatown, Doyers Street, History, LES, Lower East Side, New York, NYC, Photography, Travel. Bookmark the permalink. Thanks! I grew up about a block away. Always loved the history. I’m more familiar with the Jewish, Italian, Chinese part of the history. I’m starting to dig deeper and get into the Black, Irish, Dutch stories now. Thanks! It’s a fun history street. Now I know where ‘hatchet man’ comes from. Glad I lived there during tamer times. Loved the personal connection through your grandparents. Wish they told us more. Whenever we would ask they would shrug it off. I can understand that. It’s not the cleanest of all places. I’ve been trying to hunt down all the old school bakery dishes. Things that are disappearing. Eat them all before they are gone. There’s this thing called Gee Chung Fun. It’s a rice noodle roll with scallions, sesame seeds on the outside, dried shrimp and pork bits. Use to be everywhere and a handful of places still have it. It’s so yummy. Been meaning to post about the old school foods but every time I go get the food to bring home – I forget to take pics and eat it all. Seeing those pictures made me realize I have visited Chinatown, though it was a long time ago, when I was still in high school. I stopped at Ting’s Gift Store and bought a set of seven white porcelain horses. There was a story about them being lucky, but I got them because I collected horse figurines at the time. I’m not even sure I still have them now. I remember the shop was packed with interesting things, but my parents wouldn’t let me buy a lot of stuff because I only had one suitcase to carry all of my belongings in. I also remember the neighborhood seemed gloomy and depressing, at least compared to the Upper East Side or Midtown. No one talked about the history—my family wasn’t interested in that and only wanted to eat and “do things” like see the Statue of Liberty. Too bad! If I had known, I would have paid a lot more attention to the old buildings and narrow streets. I will post about food one day. I want to write about the jerkies of Chinatown and old school style dishes that are hard to come by. Wish they told us more of how they met. They always stayed so quiet. My Dad says he just remembers his mom one day coming home married.